It’s no longer accurate to say that readers are moving toward a digital preference to receive their content. Readers aren’t moving that way, they’re already there. 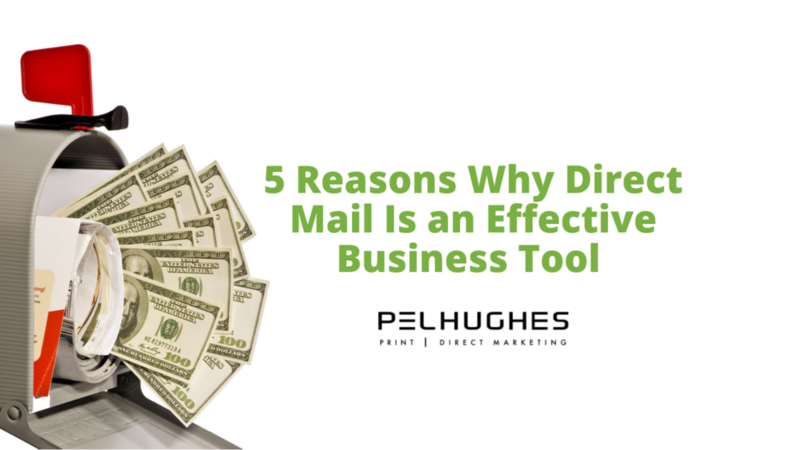 So, then, why is this article titled “5 Reasons Why Direct Mail is an Effective Business Tool”? Short answer: Statistics, science and physical connection. Long answer: see below. A recent study from Temple University consumer neuroscience researchers found significant differences in the way our brains process digital services and direct mail. Among their findings, while digital ads are processed faster, consumers engage with paper ads for a longer period of time, and the physical ads often cause more activity in parts of the brain associated with value and desire. Moreover, the study showed that physical ads cause greater activation of the ventral striatum – the brain structure whose activity is most predictive of future purchasing. Here’s a couple interesting statistics: 98% of consumers bring their mail in the day it’s delivered, and according to a recent survey by the USPS, 84% have purchased an item after seeing it in a direct mail catalog. A large reason for this is because direct mail is active – it’s concrete and tangible. Unlike digital ads, which are often scrolled over, direct mail demands action by the recipient. Consumers react well to physical mail. They enjoy engaging with the story of the product and appreciate the convenience of being able to flip through pages until something catches their eye. However, ordering a product may prove slightly more challenging as you have to call a number and, yes, actually speak to someone. Direct mail can bridge the gap between the physical and digital worlds by showing customers how they can make purchases online. Moreover, 70% of Americans say mail is more personal than the internet. In a recent survey of millennials asking them which form of marketing is more effective at getting them to take action, 30% said direct mail; only 24% said email. With a 70% opening rate, direct mail continues to dominate among the marketing tools employed by companies. By sending out direct mail, companies can reach a mass amount of people, and once inside, consumers feel a sense of personal connection with the products that cannot be duplicated online. Companies can also reach new customers by sending out direct mail, and re-engaging with existing customers by creating a follow-up mailing after an initial purchase. In our current society dominated by digital content, direct mail is still an effective business tool. By utilizing the strengths of direct mail, companies can ensure consumers are exposed to their product through a medium they enjoy, but also point them to their online presence. With direct mail expected to grow 5.4% for B2B Direct Sales, its effectiveness won’t be shrinking any time soon. Contact Pel Hughes today to discuss what direct mail can do for you!